Click the lights to turn lights on or off. Turn off all the lights to win the game! 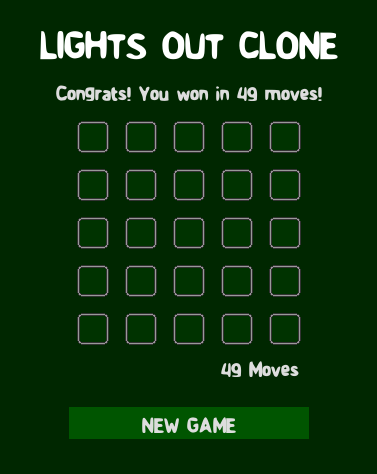 Try and win the game in as few moves as possible! 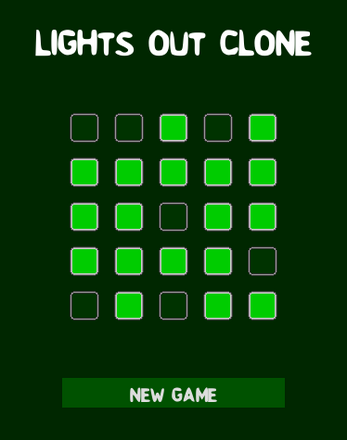 Protip: Look up the Lights Out wikipedia page if you're having trouble beating the game.